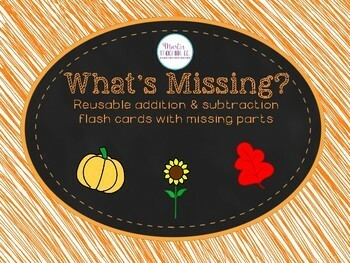 This is a set of cards you can use to review missing numbers in addition and subtraction equations. They feature fall themed clip art. 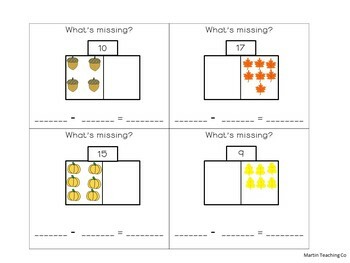 There are two pages with addition and two with subtraction. 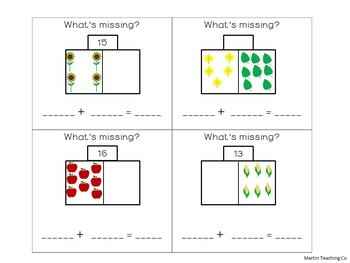 All cards show the math problems in a part part whole model and are missing a portion (a part or the whole number). 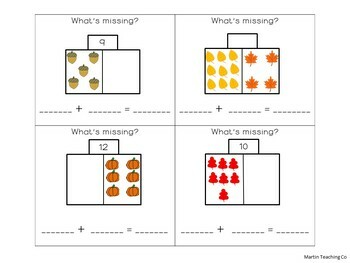 Students must fill in the missing part and write a corresponding equation underneath.